PAN or Permanent Account Number is an identification number for individuals, corporations and families. PAN is essential for those who pay income tax. The PAN consists of a 10 character alpha-numeric identifier, planned for all judicial entities under the Indian Income Tax Act, 1961. The Income Tax PAN code and the card are issued under the Section of 139A of the Income Tax Act. 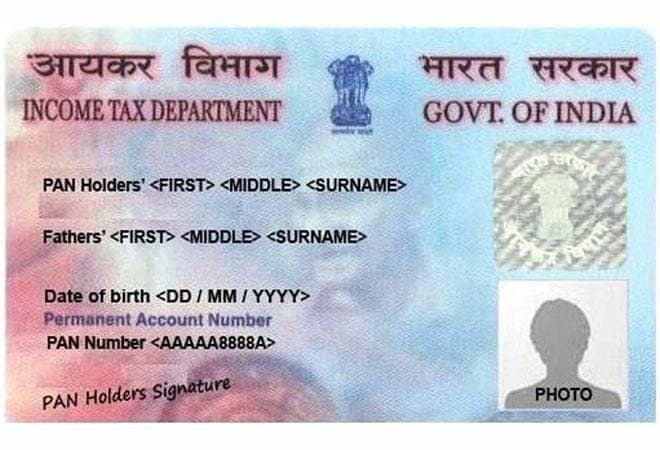 The PAN card is issued under the Income Tax Department and is supervised by the Central Board for Direct Taxes (CBDT) which serves an important proof for identification. PAN can not only be obtained for Indian Citizens but can also be filled for foreign nationals subject to a visa but that PAN will not serve as n important proof of identification. PAN is a mandatory document for financial transactions related to the bank or any financial institutions. In order to apply for the new PAN Service, the person needs to fill up a form 49A which is the PAN card application form. Other forms are not accepted by the government. For filling up the form, only black ink is needed to be used as other links are not recognized by the center. The name which is to be printed on the card should be filled in very carefully as no mistake is expected. If there Is any mistake while filling up the form, please reject the form and take a new one. The name should be spelled correctly and the spelling of the name should be the same which are given on the proofs attached. The photograph for the PAN card should be of recent time. The size of the photograph should be of 3.5cm x 2.5cm. Pinning up or stapling the will not be accepted and the photograph is to be only stuck. The sign of the candidate should be inside the square box provided for that purpose. If the sign moves out of that rectangular box then the application might get rejected. If thumb impression I to be put, then the thumb impression should be attested by the specified authority. The address filling should be done very cautiously. If the address is filled in the wrong then the PAN card will have the wrong address printed on it and moreover, it will get delivered to that address. Moreover, the address should be the same as it is in the proof. Application having one address and the proof having other address will be instantly rejected. The PIN code of the area should also be written very carefully as the card after printing is to be dispatched to that address. Correct mobile number should be entered or the notification won’t reach you. The code should be mentioned. Attach proper identity proof and proper address proof. The list of things to be taken as identity proof and address proof are mentioned in the instructions page. The PAN status can be checked online after 3-4 days after the application has been submitted.